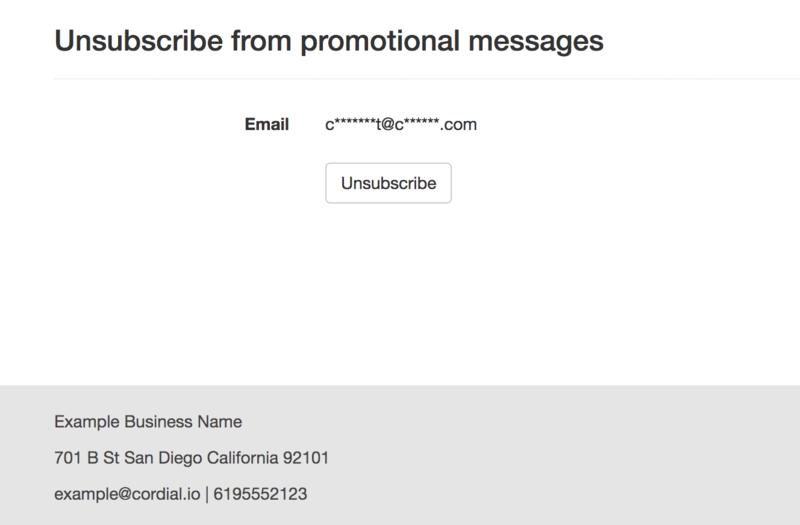 This tag will render a URL to a standard opt-out form that is personalized for the recipient. Note that the address in the footer of the opt-out page is rendered using the values of Compliance fields on the Account Settings page. Note that styles can be added as appropriate. In the next article learn about adding tags to links.